Rob I agree that the starting line up didn't give us the right balance. Kee is definitely not a winger, he isn't going to beat people for pace and get to the byeline etc. I would have preferred Okane and Robinson on the Flanks and Stanley and either Oastler or Lathrope in the middle, then if when Tomlin tires or you want to change it about a bit bring on Kee. Ironically I think we missed Murray last night, he could have come on as a replacement when Tomlin was taken off. A like for like swap. I would agree - although all players develop at different rates. Benyon had by this stage had played three seasons in the Conference and one and half season in League Two - Kee has had one season in League Two before joining us and I don't believe anything before that. I was many others hoping that some regular footballl would see him get into a decent condition and that would see him kick-on - alas it hasn't quite worked like that. I looked at it like he might be an "Akinfenwa" in that he would get better as time went-on and he would get fitter the more he played and then would get scoring regularly. I think it is plain to see that he has real talent - he scores some fantastic goals, but sometimes he doesn't have that instinct when the ball breaks around the penalty area - and that is where Benyon was at his best. 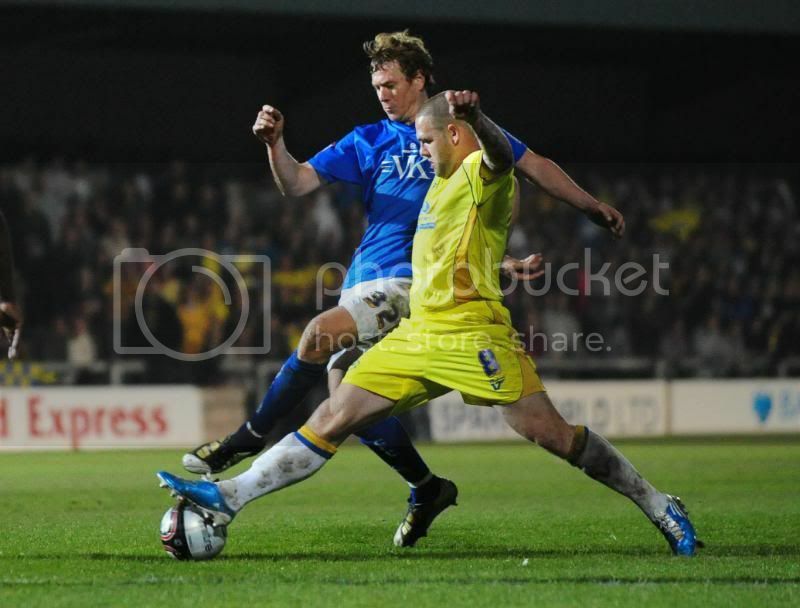 In fact, he is almost exactly the opposite to Benyon in the sort of style of approach and the type of goals he scores. I think that he will improve next season - if he doesn't it will be a real shame and waste of talent. I think it is entirely down to him as to how he moves-on - he could be as good as Jamie Ward (another Midlander part of the Northern Ireland set-up). Cracking game last evening & a shame it wasn't televised. The league provided us with excellent, experienced officials as the game's status demanded & we all have views that are different. The referee kept Zebs going when he was nearly through in the last 10mins, although it wasn't enough for a penalty. Good atmosphere and it isn't often we see the away end full. I've driven over 800 miles for the last two home 0-0 games; my wife & family think I'm mad.....(.and fitted a premiership match at Fulham in on Weds) but I wouldn't have missed it, a one off occasion just like Oxford & Wycombe away. Yes I agree with that. We have played well enough in the last three home games (even though I did not see the Chesterfield match). There are certainly teams that we can beat if we get in the play offs as well. We do howver have a completely disjointed forward line with arguably four players lining up who would all be better employed playing off a target man. What a shame we have lost Stanley and Murray. The latter looked a real prospect to me and it seems very short sighted of Ipswich to recall him. Unfortunately it has left us extremely thin squadwise and our bench looks just about hopeless in all fairness. So to actual get in the play offs and get promoted would be nothing short of a miracle. If there is one thing I would like to see Buckle do in the last match it would be to recall Ellis at centre half, put Robbo at right back and put Mansell in midfield. Ellis. Branston and Roberston gives us huge goal threat at set pieces. O'Kane needs to start in a wide position to give us some sort of threat in having one fresh forward to come off the bench. I`ve been saying exactly that for a couple of weeks now! Yes I think the loss of Stranley means that we have to get some experience and energy in there. It's a shame for Robbo because he and Branston have forged a more calm and solid partnership at the back since he replaced Ellis. If it is going to be Accrington away I might even be tempted to stick Ellis in as a physical presence in the middle of park. Unwise at this point to tinker with a very reliable back line and with Ellis so short of matches. Bucks wont be taking that option unless forced to and Robertson has looked pretty steady alongside the beast. We have some young but good options in midfield and this could be a game for young legs though Stanley will be a big miss. Why the Morcombe manager couldn't harness his talent is beyond me. Has Sammy Mcilroy still got a job? Ellis is the sort of player that can come back stronger for the rest. Its a fair point about the settled defence BUT we just have not got anything like enough in central midfield perming two from three from Ostler/O'Kane/Lathrope. As well as that we have not got anything on the bench playing the front four we did against Chesterfield. So something has to give somewhere. The overiding deciding point is that Ellis is brilliant in the opposition box. Our best chance of scoring maybe from a set piece and a combo of Ellis and Branston gives us a great chance. I must admit that Ellis can be a huge threat on set pieces and along with Branos recently acquired confidence at set pieces could be a factor - if the manager sees it that way. Been an unfortunate second half of the season for Mark who did so well at the start of this and end of last season. Is he contracted for next? He may be getting twitchy for regular football and who could blame him and I cannot remember him even making a subs appearance recently. Agree also that Kee out wide isn't the answer and playing so many forwards rarely works you need that know how in midfield to probe and slip passes in and to defend the key areas. Kee and Robinson are not the best defensively so I can see one dropping to the bench for Saturday. Bucks desperately wants to accommodate Kee as he is a threat but asking him to run the defensive line as well is asking to much though I'm sure hes impatient and pushing the manager for a start. A tricky bit of man management required. Just back after a great w/end in the bay. So apologies for the lateness of the report. Left at 0500 Friday and got there at 10.30 just in time for the big show. If it hadn`t been for the dog being sick in the car and the Penn Inn to Paignton slow mo, we`d probably have got in for 0930. On to the game. thanks to my nephew tickets were secured in the afternoon no problem. This was my first home game since the opening game against Bradford so apologies if some of the things I`m about to post are old hat or make no sense. 1. 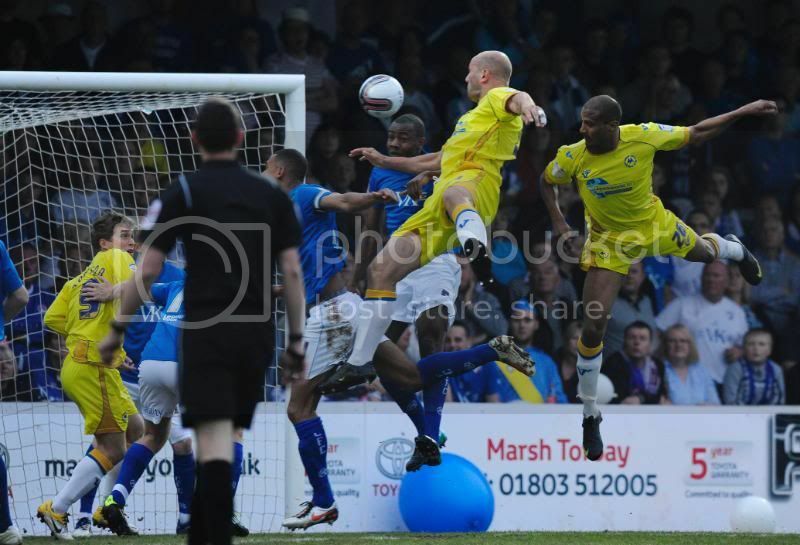 The atmosphere was very good, probably the best I`ve experienced at Plainmoor for many years. 2. 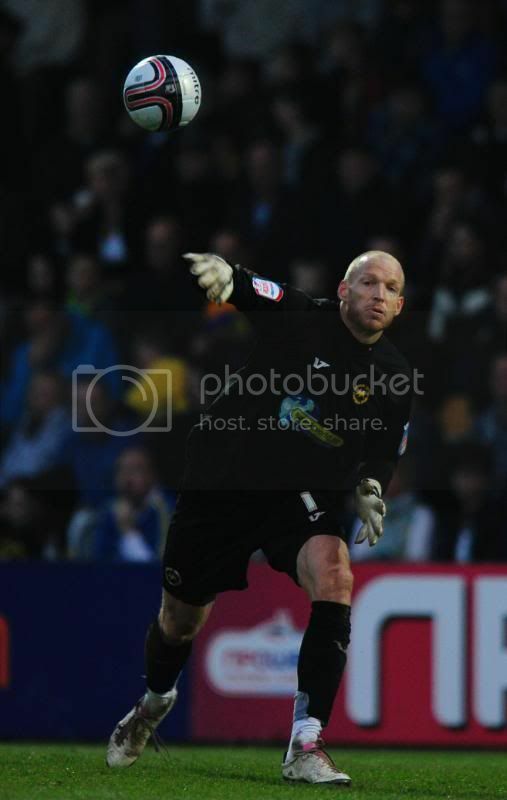 Bevan- 4 top saves that without doubt kept us in the game. He deservedly won mom. As for his kicking from hand however, in the much quoted words of my old teachers, " tries hard, but could do better". 3. first half - C`field came out of the blocks like a team possessed and were clearly up for it. We did well to go in all square at HT. 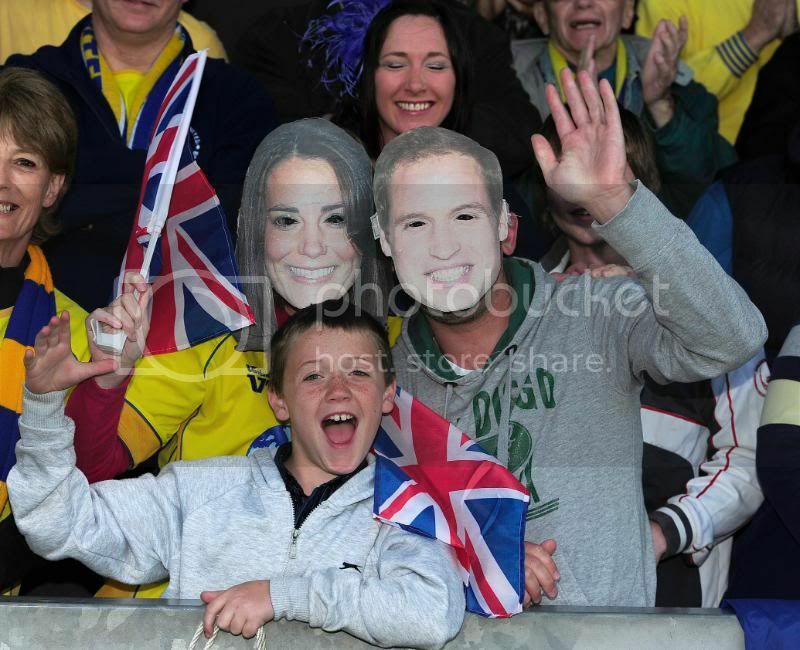 It was though a thoroughly enjoyable half and good entertainment. 1. For 30 mins we completely lost our way. Too often we were guilty of giving the ball away cheaply. Though it has to be said there was a period of 10 mins when both sides played with the ability of a pub team on a Sunday morning that was still getting over the excesses of Sat night. It was simply a comedy of errors. 2. I don`t agree with the tactic of playing Kee out wide. He simply does not have the pace to be effective in that position. When he stayed out and play was on the left we failed to see thet he was completely unmarked. Then when he narrowed his play we chose to spread the play over his head and he didn`t have the pace to chase the ball down. 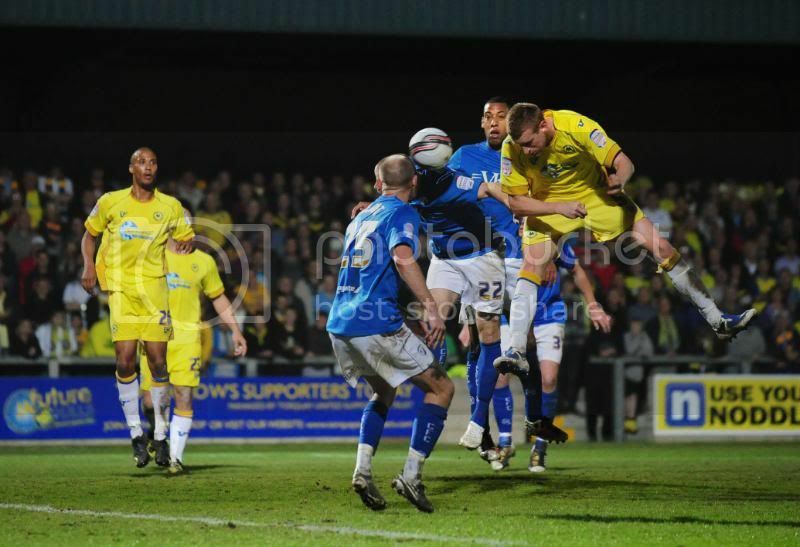 3. late on Robinson found himself in a great position on the right hand side of the box in front of the Family stand. His first through ball went straight to a defender who managed to clear it straight back to him. The second through ball was then played to the six yard box and went out of play without a utd player in sight. It somehow summed up his evening. 1. End of season presentations - I know they have to be done, but interupting the mind set before a crucial game is not a good idea. Ok if there was nothing to play for but pride. 2. warm up and watering - we got in at 18:45 and the players didn`t appear until approx 19:20. C`field had already been out about 15 mins doing standard warm up exercises. We however went straight into a rather disorganised ball routine that saw players stretching and twisting. Does anyone know if PB does some of the warm up in the Westlands gym beforehand? 3. To add to the chaotic scenes the pitch was being heavily watered aswell. This sadly led to several players slipping and sliding throughout the whole of the first half. aussie whats the clubs thinking behind such late heavy watering? 1. whilst Branson did his usual excellent blocks and groundwork, his heading was very suspect on occasion. 2. Attempts on goal - can only recall their keeper making one save all game. Perhaps we do not possess strikers who can head the ball but I would like to have seen a little more variation in our final ball and movement up front. too often everyone ran to the near post leaving no one at the back post. Despite all my negative points, this was an excellent point against a very good team. Saturdays results showed it ain`t easy this time of year.